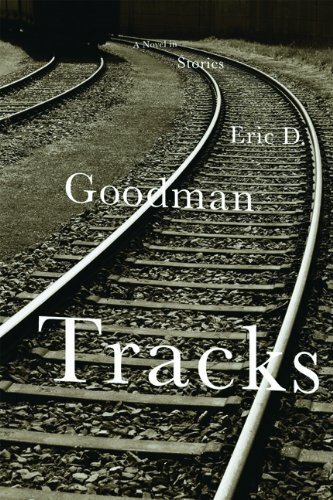 Set on a trip from Baltimore to Chicago, Tracks is a novel-in-stories, with the story of each passenger standing alone as well as working as part of a greater whole. There is an accretion that amounts to more than the sum of each individual story as you move through the book. In a moment of inspiration and abandon, he throws his daily planner out the train window, determining in an instant that he is going to retire, now, this day, and spend the remainder of his years happily with his wife. So as not to reveal too much, let’s just say that it doesn’t quite work out that way. The stories move through the train, and we enter the life of a public speaker, who earns a living by lecturing about the need to legalize the vices that have made him wealthy—drug running, gambling, prostitution. A young woman rides the train, on her way to Chicago and a new life, having left an overbearing egocentric man behind. A soldier on his way to visit his parents before leaving for Iraq. A mob hit man stalks another passenger. A Holocaust survivor keeps a promise to her husband to visit the museum in DC and face her own past. Mr. Goodman is a born storyteller who weaves his tales of each individual character, and then ties them together to create a finely patterned cloth. Like the Three Colors Trilogy (Blue/ White/Red) of director Krzysztof Kieslowski, Tracks develops in a way that has the secondary characters of one story become the central characters of another. As you move through the stories, you have the more transcendent experience of seeing each of the characters from many perspectives, at times understanding not only their “now” but something of their past and future. Many of the reviews written of this book point out that it’s a great summer read. This is true. It’s the kind of book that you can read best at a leisurely pace, enjoying the slower rhythms of this literary “people watching.” You may even find yourself encouraged to do your own daydreaming, there on the beach, as you imagine the personal lives of the people around you.